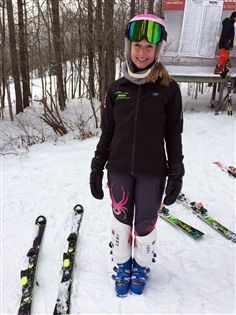 Congratulations to sophomore Anja Kroon on qualifying for the Eastern Regional Skiing Championships in the Under 16 (U16) category. The competition, held on the slopes in Stowe, Vermont, begins today and runs through March 14. Kroon will be racing in Super Giant Slalom, Giant Slalom and Slalom. She notes that her favorite event is the Super G, which requires strength and endurance. Kroon has been a skier since the age of two and a student at Gill since Kindergarten. 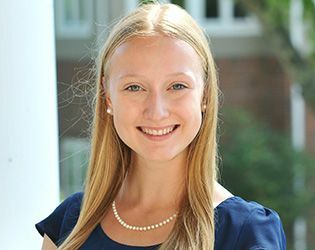 She credits a supportive faculty with allowing her to balance academics and her love of skiing over the years. Reflecting on this most recent accomplishment in their daughter’s skiing career, Monika and Peter Kroon offered, "Claiming a spot at the Eastern Championship is a career accomplishment for Anja. We are so proud of the hard work she has put in to qualify for this event."